In Science Fiction and Extro-Science Fiction, Quentin Meillassoux addresses the problem of chaos and of the constancy of natural laws in the context of literature. With his usual argumentative rigor, he elucidates the distinction between science fiction, a genre in which science remains possible in spite of all the upheavals that may attend the world in which the tale takes place, and fiction outside-science, the literary concept he fashions in this book, a fiction in which science becomes impossible. With its investigations of the philosophies of Hume, Kant, and Popper, Science Fiction and Extro-Science Fiction broadens the inquiry that Meillassoux began in After Finitude, thinking through the concrete possibilities and consequences of a chaotic world in which human beings can no longer resort to science to ground their existence. It is a significant milestone in the work of an emerging philosopher, which will appeal to readers of both philosophy and literature. The text is followed by Isaac Asimov's essay "The Billiard Ball." In Science Fiction and Extro-Science Fiction, Quentin Meillassoux addresses the problem of chaos and of the constancy of natural laws in the context of literature. With his usual argumentative rigor, he elucidates the distinction between science fiction, a genre in which science remains possible in spite of all the upheavals that may attend the world in which the tale takes place, and fiction outside-science, the literary concept he fashions in this book, a fiction in which science becomes impossible. With its investigations of the philosophies of Hume, Kant, and Popper, Science Fiction and Extro-Science Fiction broadens the inquiry that Meillassoux began in After Finitude, thinking through the concrete possibilities and consequences of a chaotic world in which human beings can no longer resort to science to ground their existence. It is a significant milestone in the work of an emerging philosopher, which will appeal to readers of both philosophy and literature. 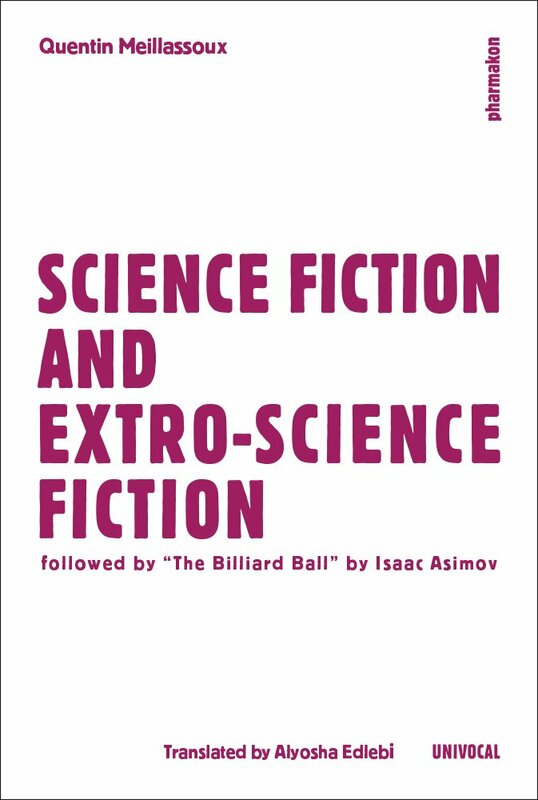 The text is followed by Isaac Asimov's essay "The Billiard Ball."